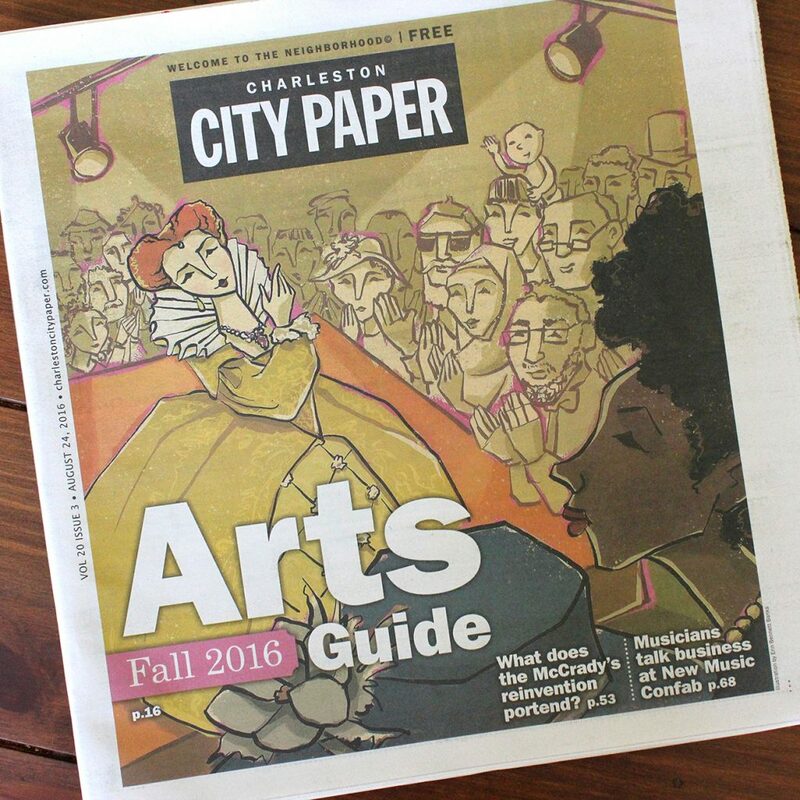 I recently illustrated the cover for Charleston City Paper, which also turned out to be the Fall Arts Issue. It was a theater-inspired piece with a quick turnaround. So I grabbed my Wacom tablet for this one (full disclosure, I still try to make it feel like my oil technique!) and kept the sketch on the looser side. The concept is a Shakespearean actress performing in a black box theater to a diverse group of onlookers. I gravitated towards a limited palette with yellow (my favorite) as the focal color. And since it would need to accommodate the cover design, I purposely left broad areas that would allow for text overlay. The illustration also appeared as an interior spread in an issue that I would have picked up regardless.